If only I can just stay in my room the whole day every day, I would. With the temperature these days (34deg. c that feels like 36 deg. c), I’d rather stay indoors. I mean really. It’s insane going out. But life goes on and I need to do stuff. So, I have to go out. But I’m telling you, it’s like hell out there. I went to S&R to pick up the crib for my niece’s daughter (please, I refuse to be called Lola. I will always be a Tita. Or call me Tina like Rhian does. lol). I promised her I’d buy her a crib. Until now she’d rather have the baby sleep beside her (it’s easier for her since she’s breastfeeding). But I feel it’s about time for her to move the baby into her own space. I saw this cute crib in S&R the other day and I told her I’d get it for her. So, I went back today to get it (I’m scared it might be sold out). It’s a good thing I went today ‘cos I got lucky. 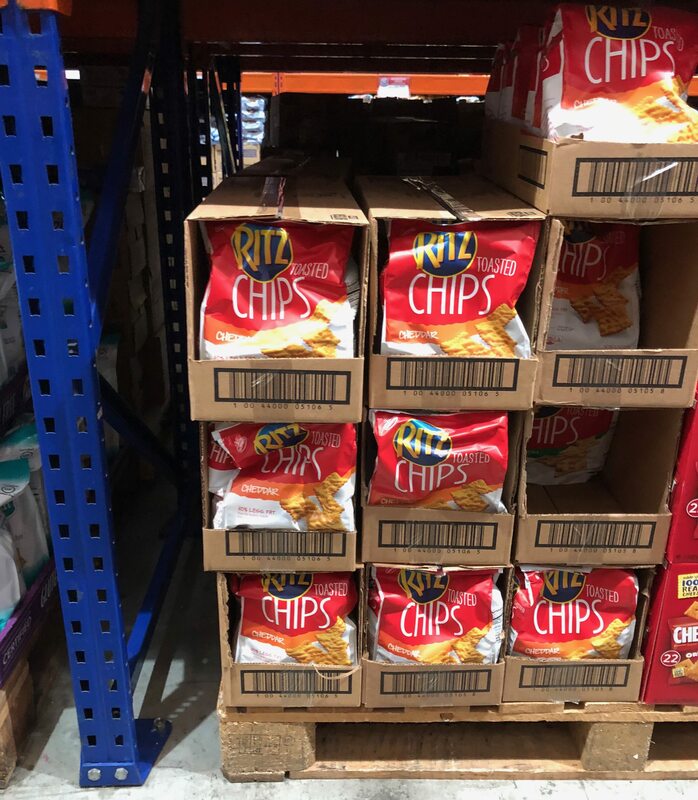 My favorite munchies, Ritz Toasted chips, is finally in stock! I have been waiting for S&R and Rustan’s to restock and it has been months already. I was so happy when I saw that S&R actually have it in stock! This sell out so fast. 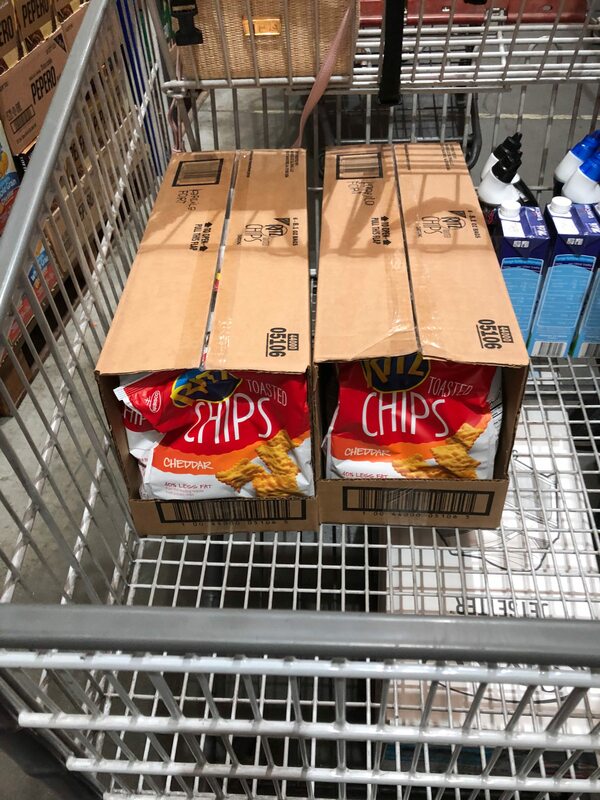 I quickly grabbed 2 boxes! Hey, we’ll never know when they’ll restock again. This is also Mom’s fave. I’m going to bring some for her when I go home to Cebu. This + Coke Zero inside my cold room. Hello. I’m beginning to feel my summer will be fun after all! who else here is having a hard time dressing up with this heat? Or is it just me? It’s really hard to dress up pag summer sa pinas. Promise!!!! Omg, kung pwede lang mag hubad sa labas! Hahahahahahahaha! Seriously, even if you wear the flimsiest outfit you can find you will still sweat like a pig. I hate it. Hi Ms. Tina, any more Rhian stories? hahahahahahaha! there’s a lot. Every time I talk to Mom she always has something to tell me about Rhian. I’ll post something later. My friend from the states went home to Cebu for vacation and brought her some chocolates and Rhian went to see her. Nag meet and greet sila. Kidding! Your hoarding levels are on a different level, i lovett!! I really asked my doctor if Coke Zero is okay. He told me it is okay for as long as not more than 2 cans a day. Hahahahahahahaha! Di ba? Kaka inis! Ms. Tina, You have to try the Ritz Sour Cream and Onion flavor. It’s my favorite!!! Very hard to come by, though. I’ve tried the Sour cream and onion and the original flavour. My fave talaga is cheddar if no cheddar I go for the original flavour. if those 2 are not available that’s the only time I get the sour cream. It’s my least favorite among the 3 flavours.